Each fall, VIRGINIAforever host our signature event – the Bridge Builder Celebration – in Richmond. The event honors elected officials and others who have championed efforts to protect Virginia’s land and water. On October 11, 2017, VIRGINIAforever honored Delegate Kirk Cox with the Bridge Builder Award for his leadership in the protection of Virginia’s natural resources. We were also joined by Secretary of Natural Resources Molly Ward as our emcee and special guests Ed Gillespie and Ralph Northam as our keynote speakers. The gubernatorial candidates shared their proposed environmental policies and answered questions about natural resources funding, plans for promoting land conservation and how to stabilize funding for agriculture best management practices. Our honoree, Delegate Cox, has served in the House of Delegates since 1990, representing the 66th district of the Commonwealth. His service has included significant leadership roles including House Majority Leader and House Majority Whip. As a testament to the respect that he gained from colleagues during his tenure, Delegate Cox was elected Speaker of the House. In January 2018, he will be sworn in as the 55th Speaker of the House becoming the first Delegate from Colonial Heights and the first public school teacher to ascend to the Speakership. In this role, Delegate Cox succeeds Speaker Bill Howell, a former Bridge Builder Award recipient honored for his role in Virginia’s Land Preservation Tax Credit law. 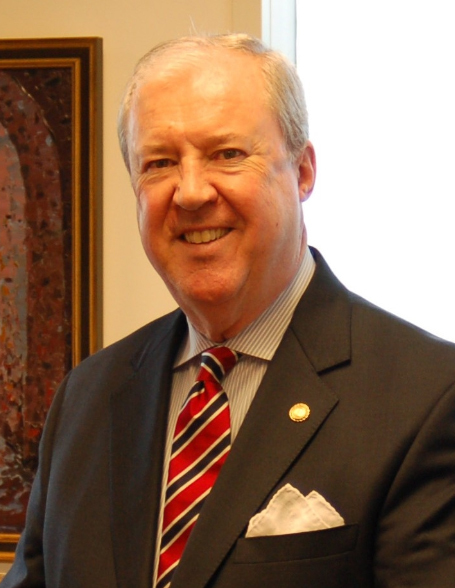 Delegate Cox has a keen interest in protecting natural resources. 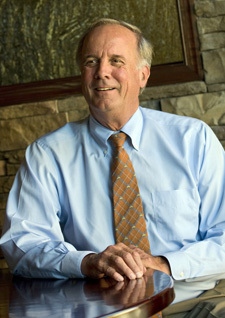 As a member of the Appropriations Committee and the Subcommittee on Commerce, Agriculture, Natural Resources and Technology, he plays a critical role in understanding needs and appropriating state funds to programs that will conserve land and enhance water quality – both which are vitally important for the Virginia economy and for everyone who calls Virginia home. Congratulations to Delegate Cox on this well-deserved recognition! VIRGINIAforever extends a huge thank you to all of the generous sponsors of the 2017 VIRGINIAforever Bridge Builder Celebration. 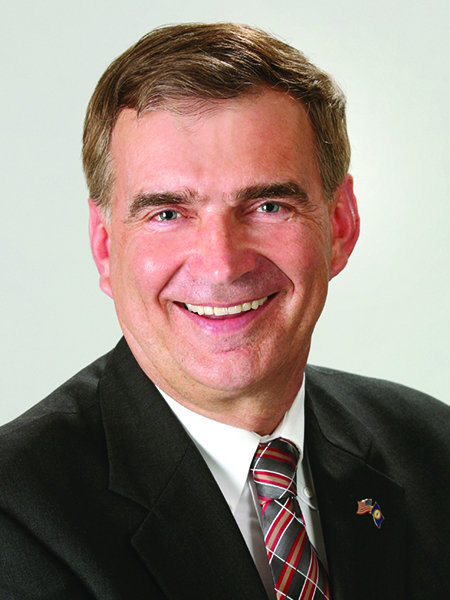 Delegate Kirk Cox was first elected from the 66th District to the House of Delegates in 1989. February 22, 2017, Kirk Cox was unanimously elected Speaker-Designee by the 66-member House Republican Caucus. In addition to his role in House leadership, Kirk serves on the House Appropriations Committee and the Rules Committee, where he serves as Vice Chair, and the Joint Legislative, Audit, and Review Commission (JLARC). Delegate Cox has a keen interest in protecting natural resources. As a member of the Appropriations Committee and the Subcommittee on Commerce, Agriculture, Natural Resources and Technology, he plays a critical role in understanding needs and appropriating state funds to programs that will conserve land and enhance water quality – both which are vitally important for the Virginia economy and for everyone who calls Virginia home. Senator Emmett W. Hanger, Jr., has served in the Senate of Virginia for 20 years during which he has taken on important leadership roles as co-chair of the Senate Finance Committee and chairman of the Senate Committee on Agriculture, Conservation and Natural Resources. In these positions, Senator Hanger and his committee control the fate of a number of bills and budget amendments that impact land conservation and water quality improvement projects across the state. Notably, Senator Hanger championed setting the second week of June as Bay Awareness to bring attention to the importance of the Chesapeake Bay to Virginia’s economy and quality of life and to tell the stories of the many private and public organizations and individuals taking steps to reduce pollution. 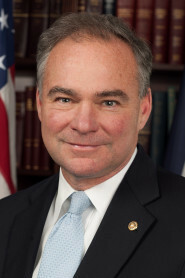 In his roles as Mayor of the City of Richmond, as Lieutenant Governor and Governor of Virginia and now in his role as a Senator, Tim Kaine has supported the protection of our natural resources. He has introduced federal legislation ranging from marsh and oyster reef restoration to protection of Civil War battlegrounds. As the 70th Governor of Virginia, Tim Kaine worked across party lines with House Speaker Bill Howell, environmental organizations and government agencies to preserve more than 400,000 acres of open space in the Commonwealth. 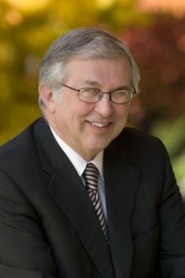 Dr. Steger served as president of Virginia Tech for 15 years. Under his leadership, Virginia Tech’s College of Natural Resources was renamed the College of Natural Resources and Environment, with its mission to advance the science of sustainability. As part of this mission, Dr. Steger supported a new interdisciplinary Bachelor of Science degree program – Water: Resources, Policy, and Management – that has recently been approved. Today, the College of Natural Resources and Environment is renowned as one of the best programs available, due in part to the Dr. Steger’s vision for the school. Mr. McCarthy’s legacy includes a long list of outstanding accomplishments in protecting our lands and waterways. Under his enduring leadership of 35 years, the Virginia Environmental Endowment awarded an impressive 1,250 grants totaling nearly $27 million. Investment of these funds enabled improvements in environmental education and awareness, funding of scientific research and pollution monitoring, conservation of natural areas, issuance of grants for farmers to reuse wastewater, and improvements of Virginia’s water quality and the Chesapeake Bay fisheries. 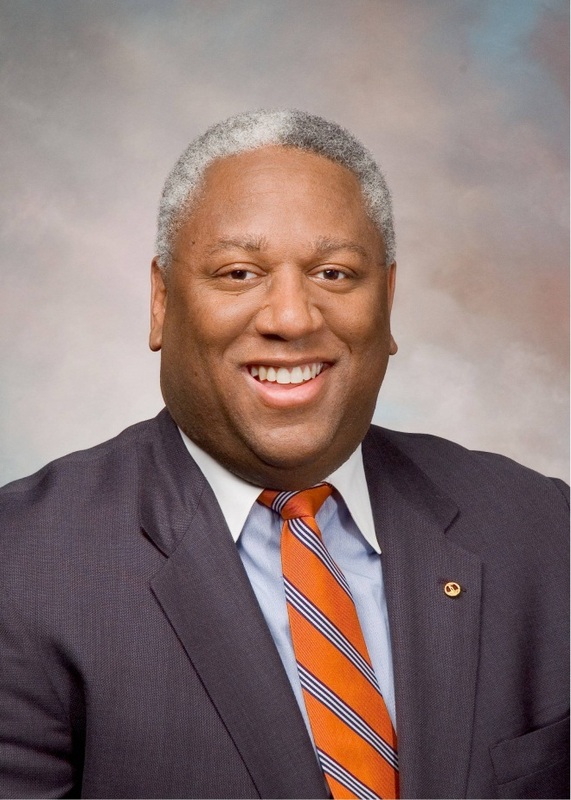 Senator McEachin has long made natural resources policy a priority in his legislative career. Placing a high importance on Virginia’s lands and waters, he sits on the Senate Agriculture, Conservation and Natural Resources Committee. 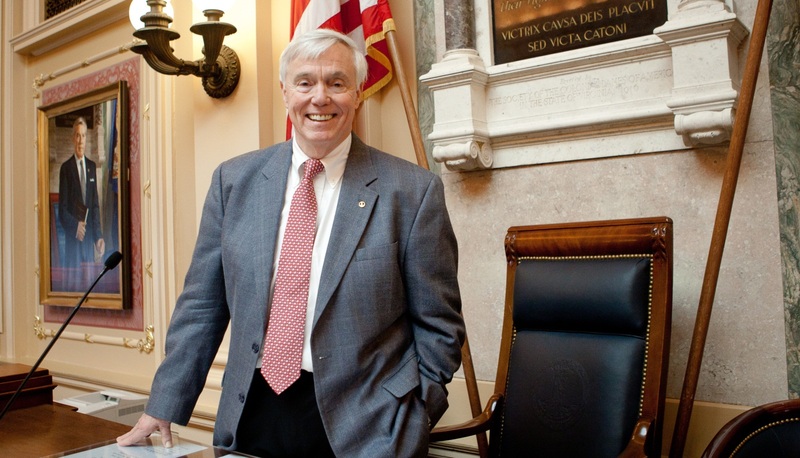 Senator McEachin’s legislative achievements include several bills advancing renewable energy in the Commonwealth. With a deep commitment to the environment, Senator Watkins is member of the Senate Agriculture, Conservation & Natural Resources Committee and has spent most of his life in agriculture. Over the years, Senator Watkins has made nutrient trading and funding for upgrades to wastewater treatment plants a top priority. As Speaker, Del. Howell presides over the Virginia House of Delegates. A leading advocate for land preservation, he sponsored the landmark law that made Virginia’s Land Preservation Tax Credit transferable from one taxpayer to another. Senator Warner served 30 years in the U.S. Senate. As a member of the Senate Committee on Environment and Public Works, he supported many legislative initiatives to enhance and preserve the outdoors for future generations, channeling a passion for the outdoors into a public career spent steering the earth toward a cleaner, more stable future. 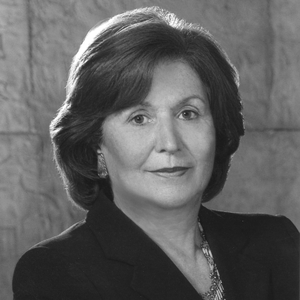 Eva Teig Hardy, a retired executive at Dominion Resources who held key posts in the administrations of Govs. Gerald L. Baliles and Charles S. Robb, is a mainstay at the Virginia General Assembly. 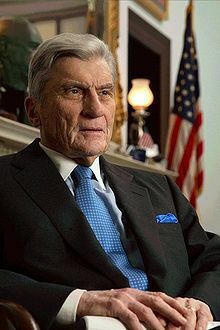 Hardy spent 17 years in local and state government, including serving as Secretary of Health and Human Resources from 1986 to 1990 in the administration of Virginia Gov. Gerald L. Baliles.